Book a room at the Comfort Suites hotel in Mineral Wells, TX. 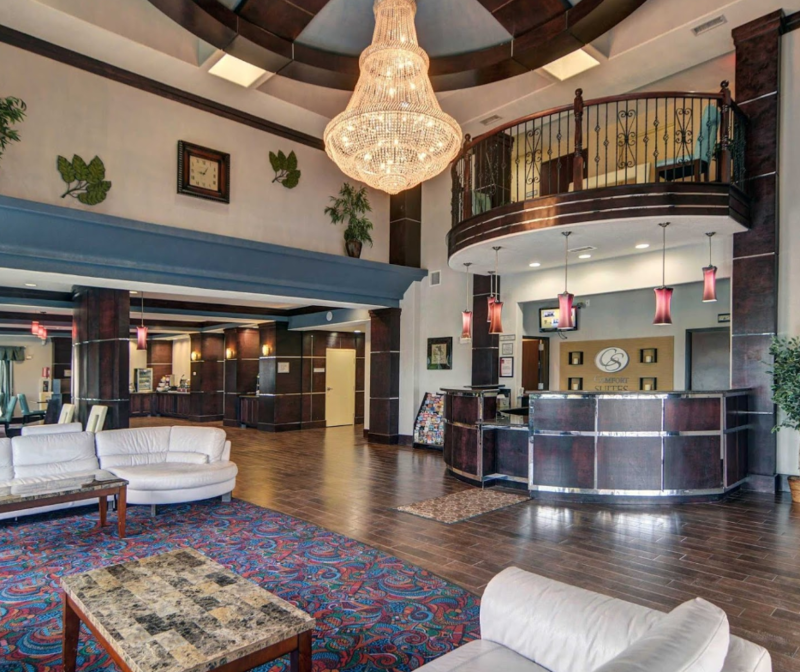 This Mineral Wells hotel is near National Guard Training Area and offers great amenities. The Comfort Suites in Mineral Wells, Texas features an indoor pool and hot tub with suites that provide refrigerators. Free Wi-Fi is available throughout the hotel and Clark Gardens is 4 miles away. While staying at the Comfort Suites Mineral Wells, each suite is furnished with a coffee maker and microwave. The individually climate controlled suites include a sofa bed and cable TV. A business center and a gym are available at Mineral Wells Comfort Suites. Guests can also use the laundry facilities on site.